The Qatari-Omani Business Council agreed to focus on developing joint cooperation between Qatari and Omani businessmen as well as eliminating all obstacles faced by investors of both sides. The meeting was held on the sidelines of the “Made in Qatar” exhibition, which began in Muscat on December 3. 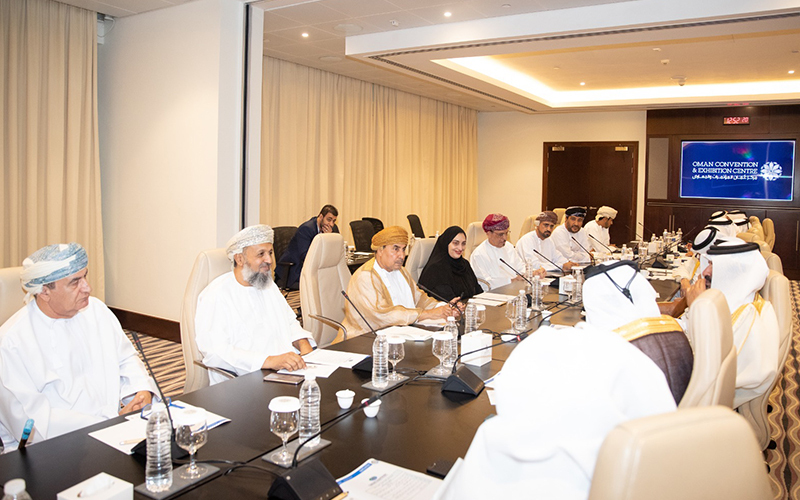 The business council meeting was chaired by QC First Vice Chairman Mohamed bin Ahmed bin Twar al Kuwari, while the Omani side was headed by Mahmoud bin Mohamed al Garawani. It discussed investment opportunities available in Omani food and manufacturing sectors. The attendees agreed to activate the role of the council and adopt all means that can help in enhancing communication between both sides. They also agreed to regularly hold the council meeting and designate a point of contact from each side for the follow-up. Kuwari said Qatar and Oman have strong bilateral relations, noting that holding the Made in Qatar expo in Oman stems from the joint desire to develop the Qatari-Omani ties and take them to higher levels. He called on Omani businessmen to take advantage of the attractive investment climate to enter into the Qatari market and increase their investments in Qatar. He affirmed that the Omani and Qatari businessmen have shown strong desire to set up joint projects. Garawani called Qatari businessmen to identify the investment opportunities galore in Oman, especially in agriculture sector, which has the abundance of cultivable lands. He reviewed means of achieving integration between both parties in industry sector and the reliance on modern technology in manufacturing of food. QC’s board member and member of the Qatar-Oman Business Council Abdulrahman al Ansari said Qatari businessmen are looking forward to increasing their investments in Oman in all sectors, noting that there are successful Qatari-Omani partnerships. QC’s board member and member of the Qatar-Oman Business Council Nasser al Haider said the businessmen from both side have a major role to play in enhancing trade exchange between both countries.